Home » Travel Insurance » Why should you compare travel insurance online? Embarking on a long trip without opting for travel insurance is inadvisable these days. Several insurance firms attract the tourists by offering an economical package. This intense competition has benefited the travellers as they can now take advantage of the competitive prices. 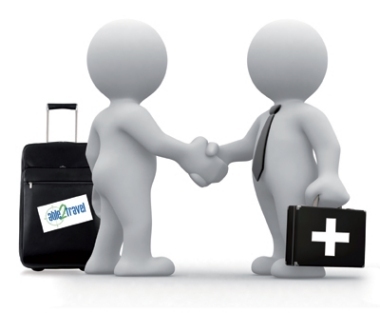 Using an online travel insurance website will help you in getting the best deals. As mentioned, you can get premium insurance coverage online at discounted rates. You can easily browse through the different insurance coverage policies available and select one that meets your budget and needs. Comparing travel insurance agencies online will save you from the trouble of traveling all the way to the company offices. Moreover, you won’t need to listen to the annoying sales pitch of the insurance provider. Another benefit of online insurance firms is that you can solve all your doubts by filling out the feedback form provided in the web portal. Comparing travel insurance online will also help you sort different policies to identify the cheapest option. You can compare different products offered by different insurers in real-time too; something not possible with the actual stores where everything has to be done manually. However, ensure that you don’t take a hasty decision when it comes to selecting travel insurance online. Browse through different websites, evaluate the pros and cons and only then select the most appropriate travel insurance policy.